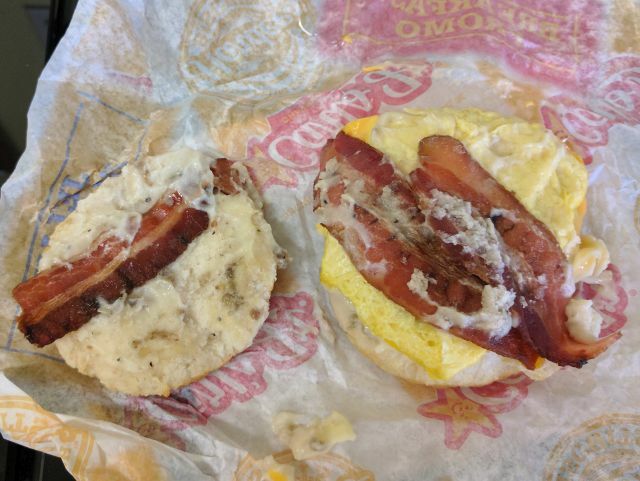 It's a small change but Carl's Jr. is testing a new Country Gravy Biscuit Sandwich in Garden Grove, CA. The new breakfast sandwich was spotted by Kevin who described it as basically the Monster Biscuit with one less egg and the addition of country gravy (i.e. 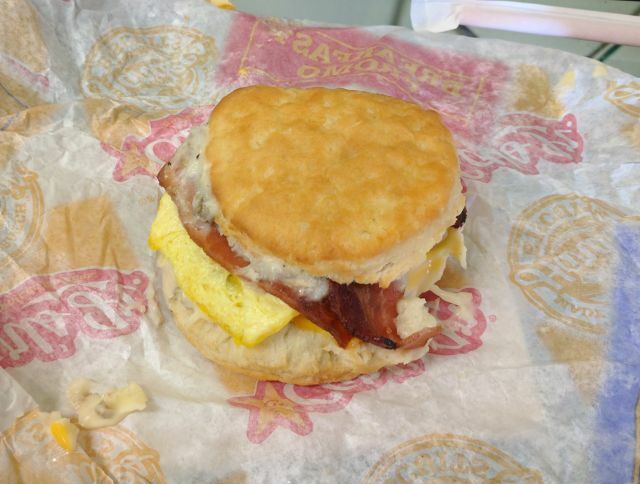 it's sausage, egg, bacon, country gravy, and eggs on a biscuit). He also said that it was "noticeably salty." It would be an easy addition to the menu as it uses already stocked ingredients. 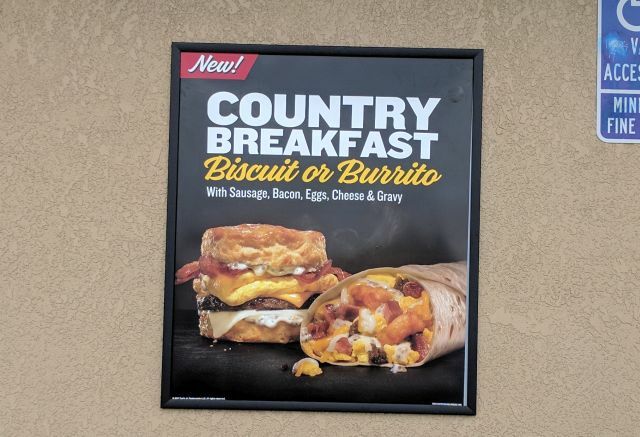 Country gravy is currently only found in two Carl's Jr. menu items: the Biscuit 'N' Gravy and Big Country Breakfast Burrito.